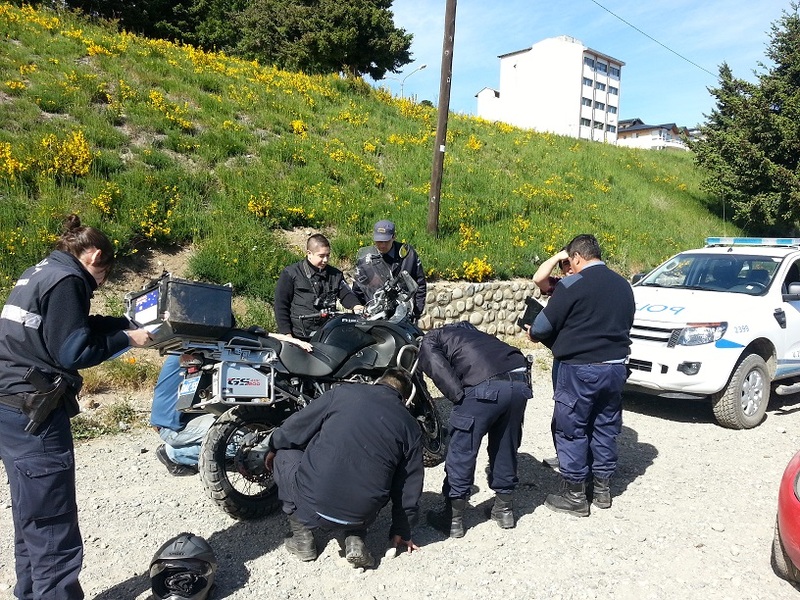 With eleven days to go until we expected to reach Ushuaia, the official ‘finishing city’ for the north to south leg of the trip, the bike has been stolen. Stolen, damaged, dumped and then found by the police with some of the electronics stripped out, the steering lock filed off, one of the brake levers broken, a mirror and indicator snapped off and a massive big dent in the cylinder head shield. We were in our room and had just about finished packing up ready to load up Beamsky for the day’s riding when the hostel owner knocked on our door to check if we were there and to ask whether we’d left the bike anywhere. Our big, black foreign motorbike, which had been securely parked inside the front gate right next to the front door of the hostel (a small BnB style place), was not there… and there was a message going around the Bariloche hostel/hotel/tourism operators’ network (which, incidentally, is an impressive way of sharing intel around the town) that the police had found a big, black, foreign motorbike and were looking for its owners. Us. The hostel owner accompanied us to the police station and then to where the bike was being guarded by a number of officers, right where it had been dumped sometime this morning. From what we can tell, the bike stealers have lifted the entire bike up, carried it out the gate of the hostel, cut the ignition cables, filed the steering lock off and then tried in vain to clutch start it for the 1.5km down the hill to the lake… clutch starts works for smaller/older bikes, but not on bikes with a modern engine immobiliser. So then, they just dumped it. 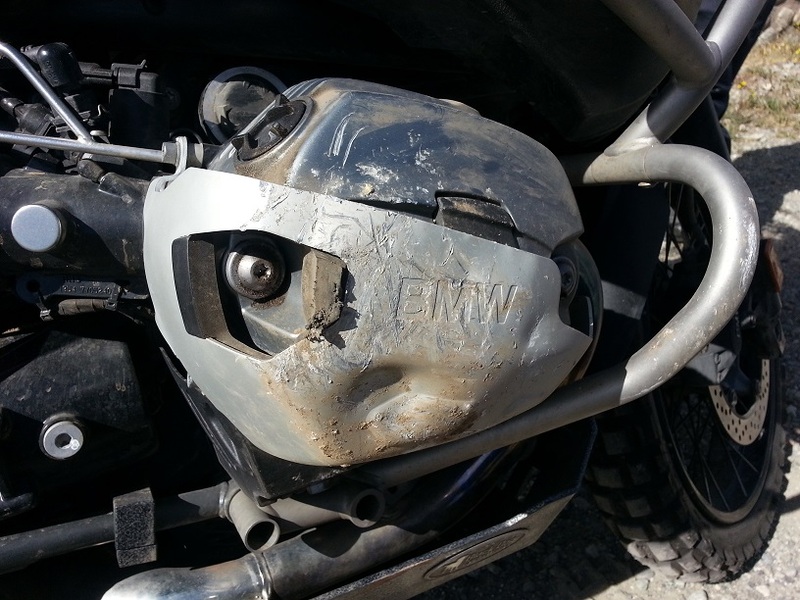 It’s pretty damaged… to the point where it’s impossible to even start the bike, let alone ride it. 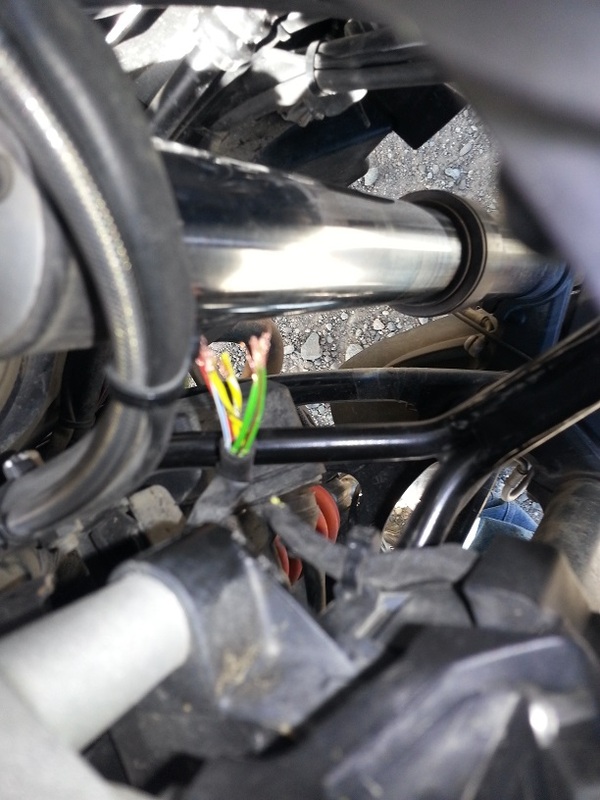 As I post this, it’s with a local mechanic to see if he can do anything – ie an interim fix – so we can get to the nearest BMW shop about 450kms away. If not, we’ll be looking for a tow truck in the morning. And we only had eleven days to go before reaching Ushuaia! After making it safely through so, so many dodgy cities, neither one of us can quite believe that here, in Bariloche, the bike got stolen. Still, we’re ok – and that’s the main thing.